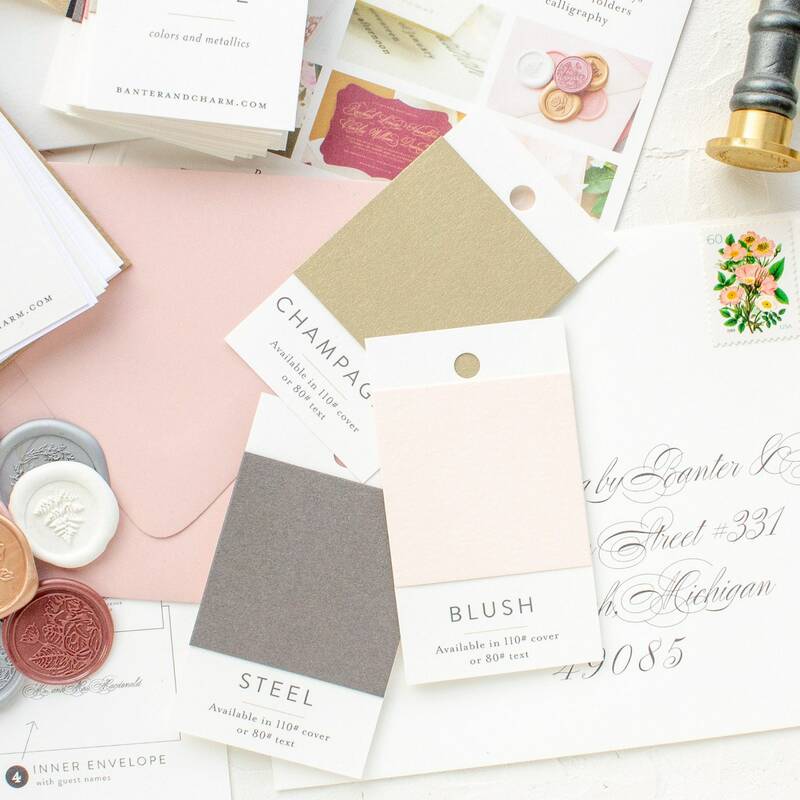 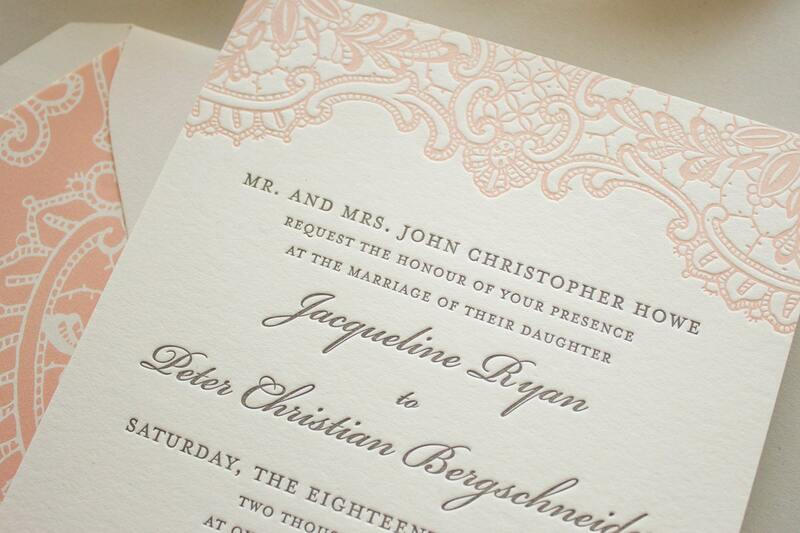 This letterpress wedding invitation features letterpress lace in pink. 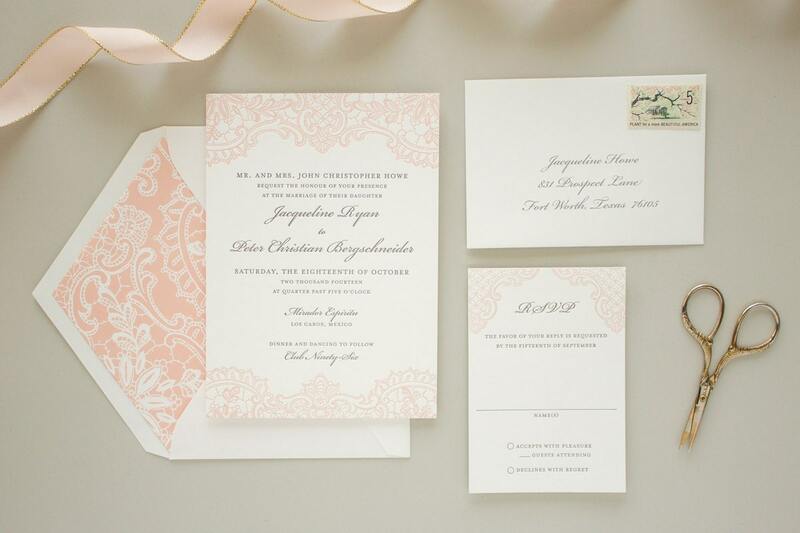 Invitations with vintage lace details would be perfect for your elegant wedding! 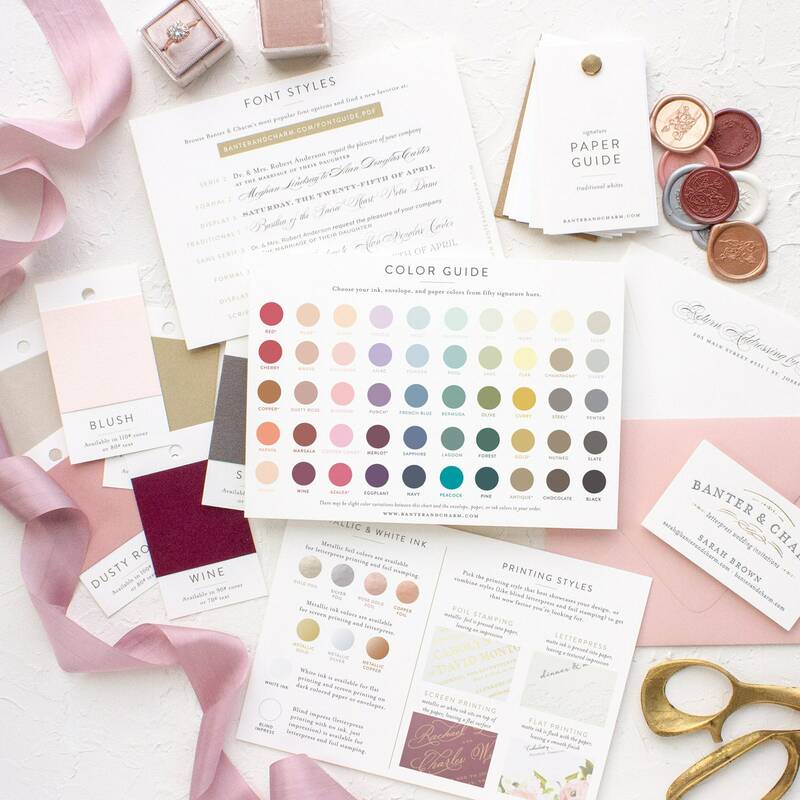 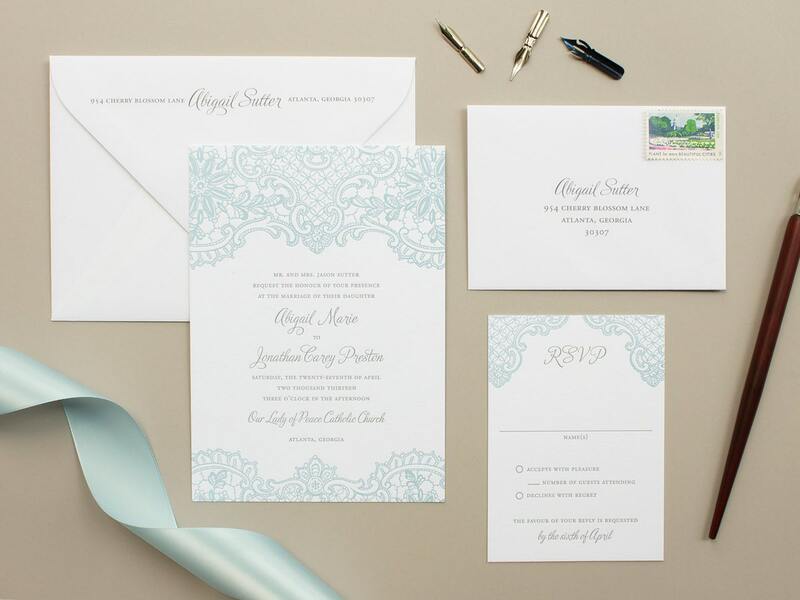 Invitation samples are not personalized and are sent with the colors and wording shown. 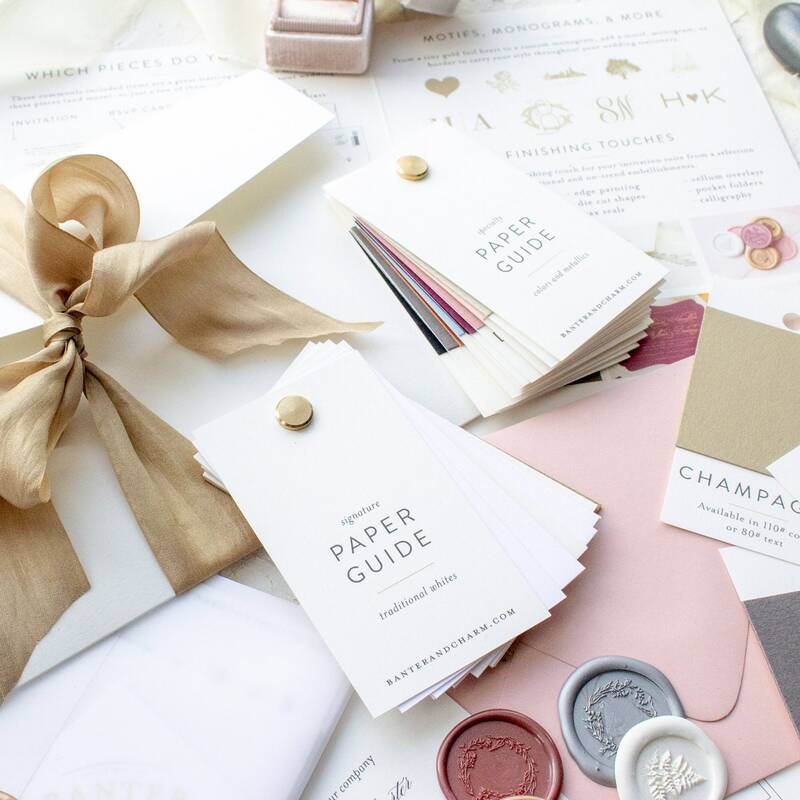 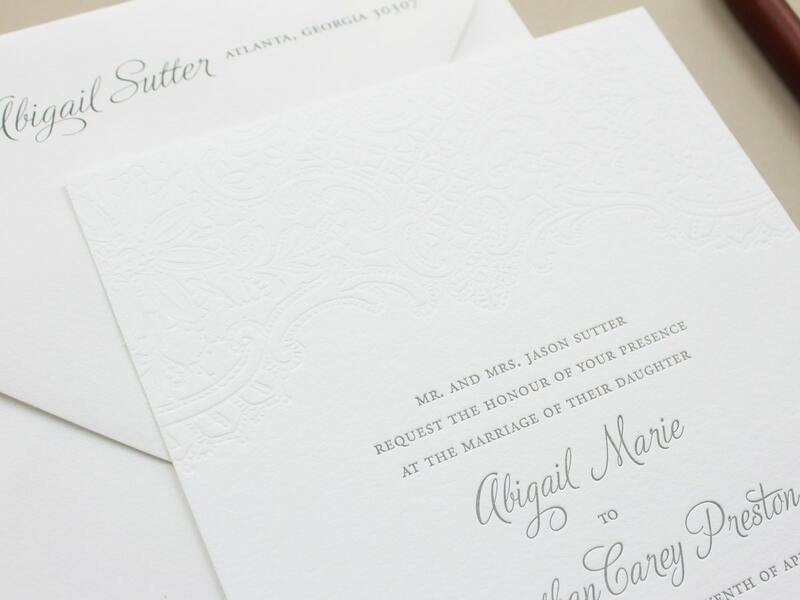 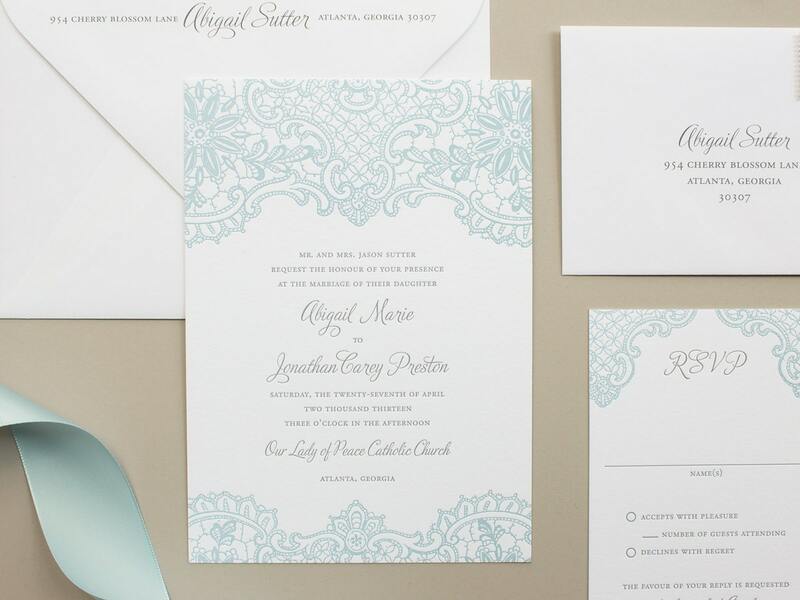 This listing is for a SAMPLE of the Hope wedding letterpress invitation and rsvp card.